So how crazy was the housing bubble? 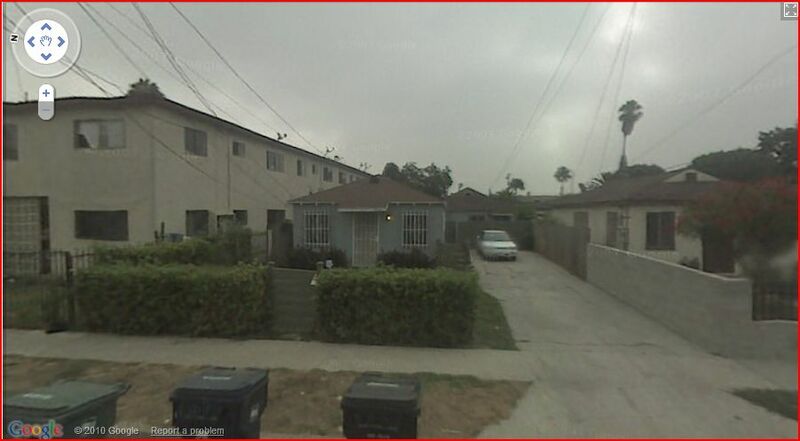 Here’s another property I clipped in ’05, this one at 11453 Chickasaw Trl in Chatsworth. This charming cottage sold for $260,000 in early 2006. 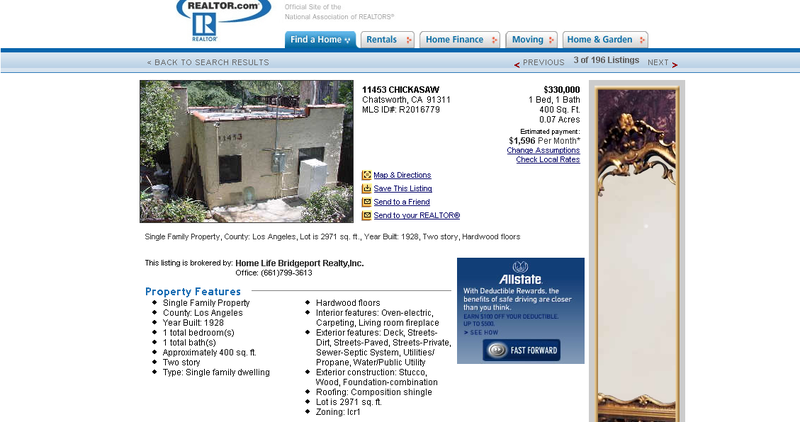 It’s currently listed at $49,000, for the land only since the house burned in the wildfires in ’08. How could the appraiser possibly assess the property for that much? And how could the mortgage companies give people money for these properties? Lots of people have asked this question before, but what I mean is when you sell mushroom pickers a $720,000 house there is a certain sort of poetry to it. 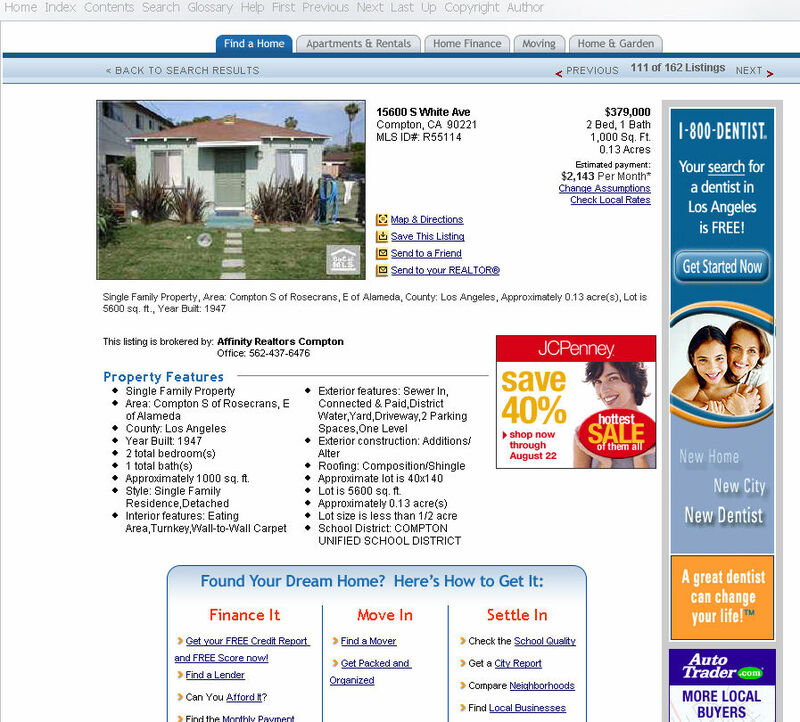 How could you live with yourself selling dumpy houses in Compton for at least 260% of its true value? Certainly no poetry there.